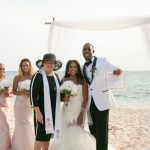 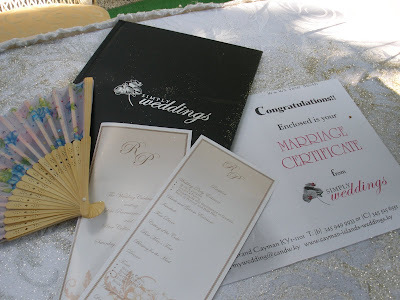 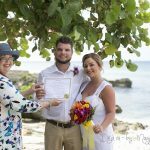 Most people in Cayman will know that in addition to arranging weddings I also officiate wedding ceremonies arranged by other wedding planners. 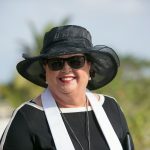 This means I often work in other parts of the island, and even on the other two Cayman Islands, Cayman Brac and Little Cayman. One of my weddings today took place at this traditional Caymanian garden owned by Cheryl of Heart of Cayman. 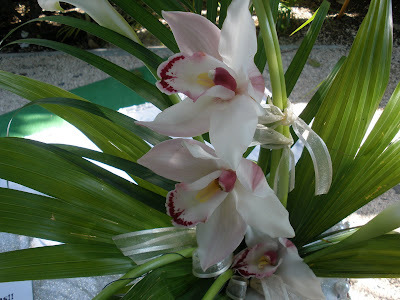 The floral theme of the wedding involved literally dozens of these pink orchids. Some of you will know that I love orchids, particularly pink orchids, in fact I even use a pink orchid in my logo. 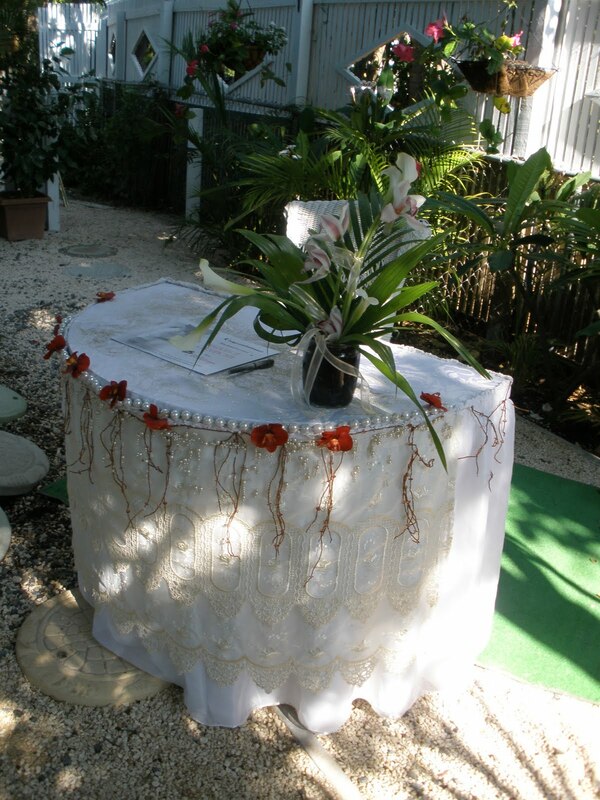 This was part of the floral arrangement on the signing table. 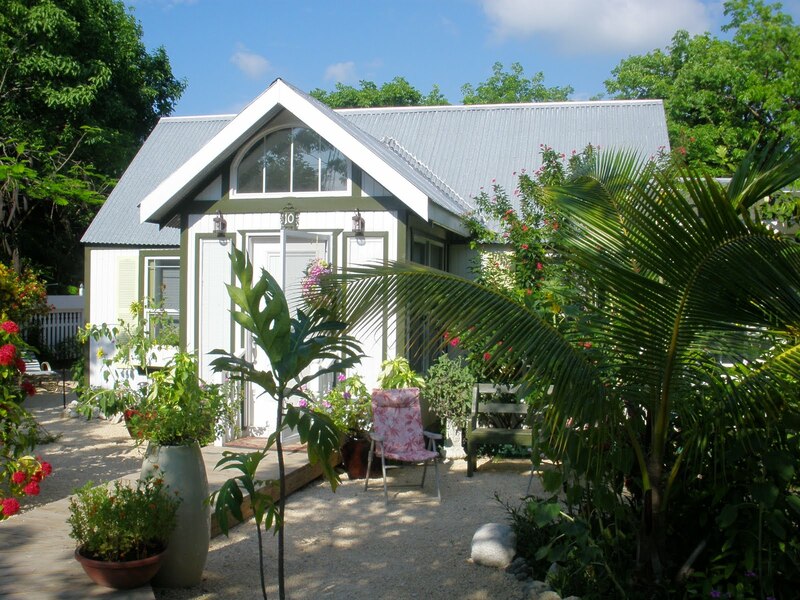 This is one of several Caymanian cottages on the property. They are beautifully restored, and can be rented as a honeymoon cottage, or in this case for the bride to dress and wait in air-conditioned comfort until the garden ceremony was about to begin. 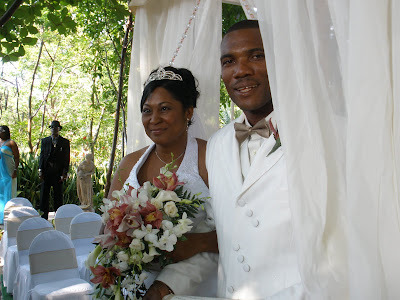 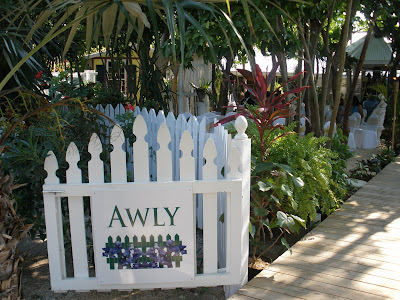 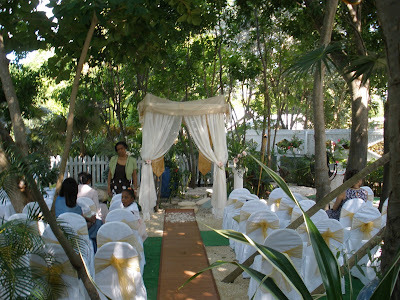 The Awly Garden is just one of the gardens that Heart of Cayman rents for wedding parties. 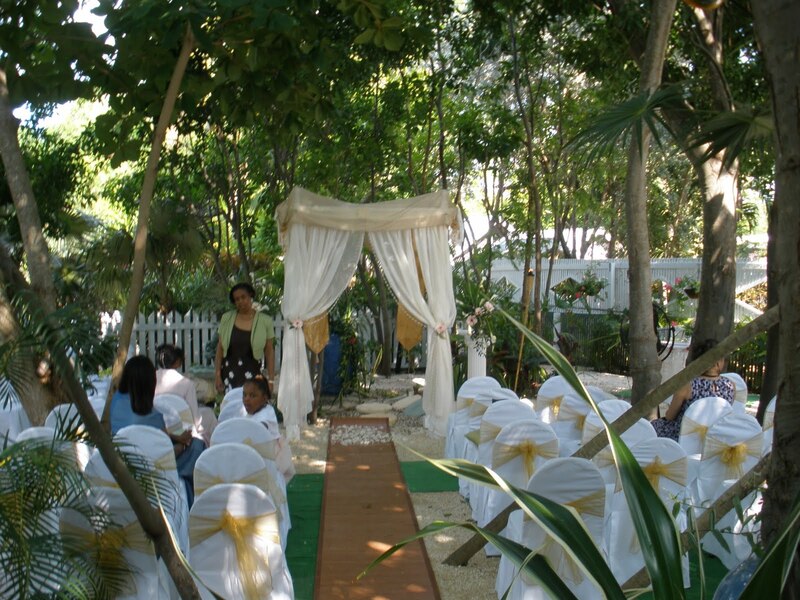 The newly-weds pose under the wedding arch shortly before the recessional when they walk down to greet their guests. 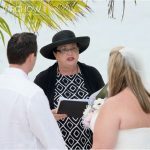 Wherever you chose to be married in the Cayman Islands, call Joy for a beautiful, contemporary ceremony ruich with meaning, and personalised to suit your special day.